We have worked with even more of the hottest nail bloggers out there to bring you our second round of Blogger Collaboration stamping plates. We got 5 more bloggers for this set that designed a plate each: Nailstamp4fun, Madam Luck, YaGala, Lucy's Stach and Sloteazzy. Each blogger brought their own personal style so are getting a unique, and eclectic 5 piece set with designs ranging in elegant and ultra feminine, kawaii urban graffiti, edgy and chic, florally and girly, and water marbling made easy. 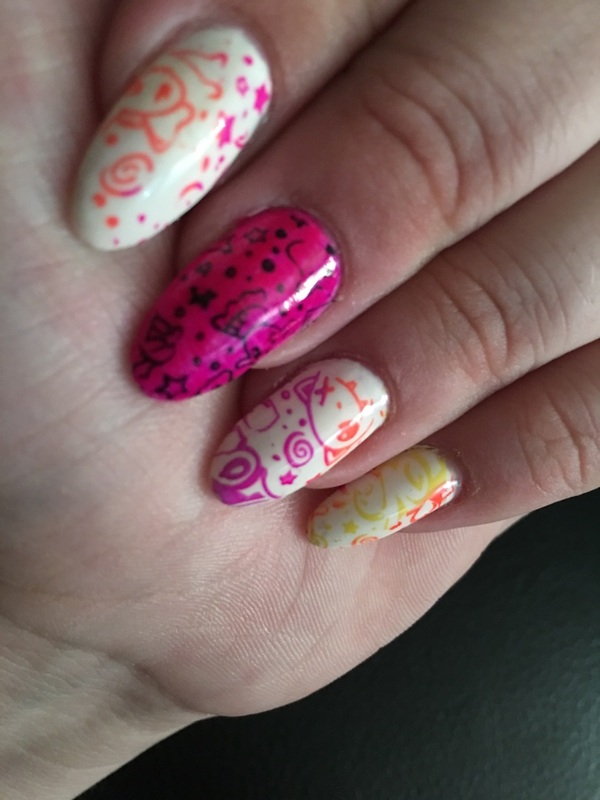 We are all uber excited how these XL stamping plates came out and hope to see you rocking these designs on your newest nail art manicures soon! ?